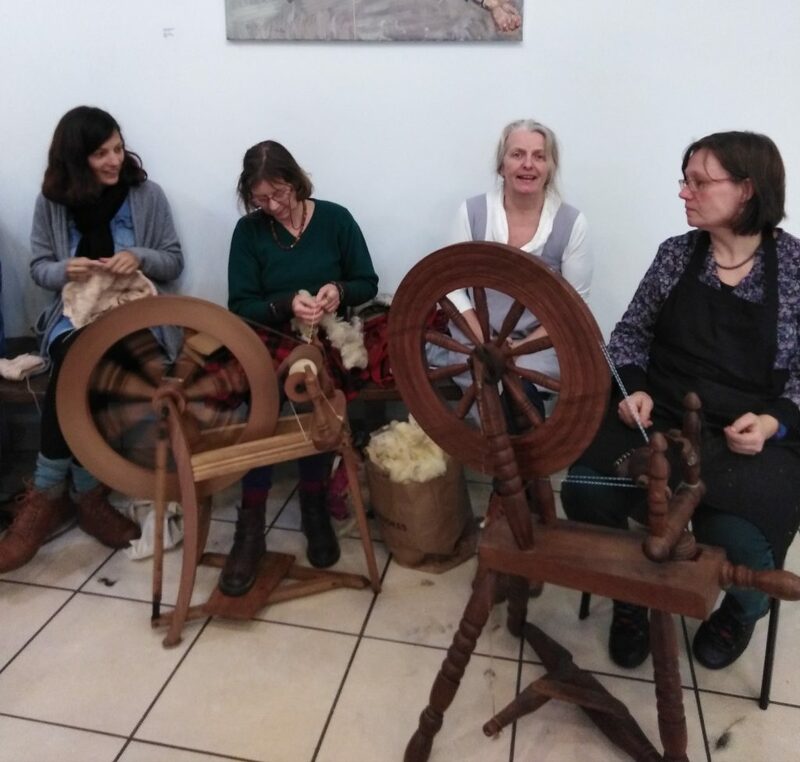 Yesterday my spinning group (Midwest Spinners is what we loosely call ourselves) met again at Glor in Ennis. 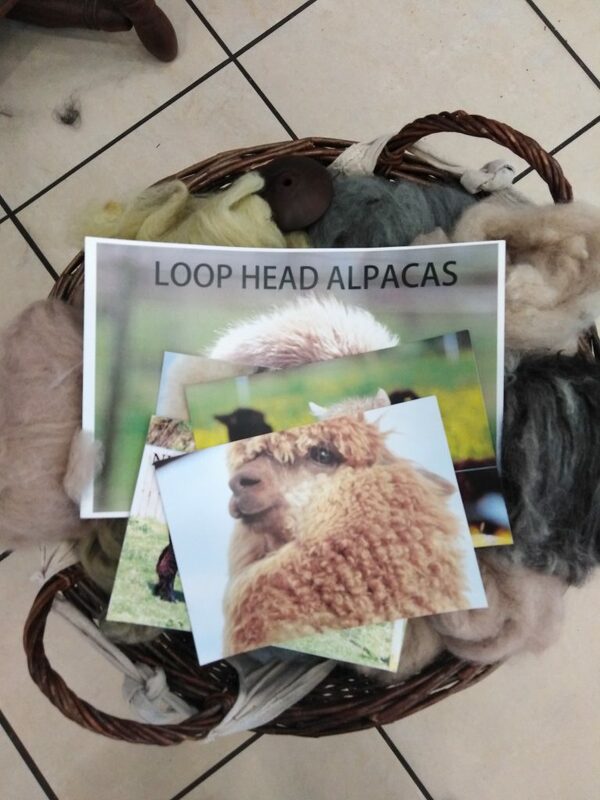 We all seemed happy to be back after the holiday season producing lovely wools. There were new spinners who joined us and lots of folk just dropped by to watch and/or have a chat. This monthly meet up is always special for me as I love catching up on the goss and sharing new ideas with the others. 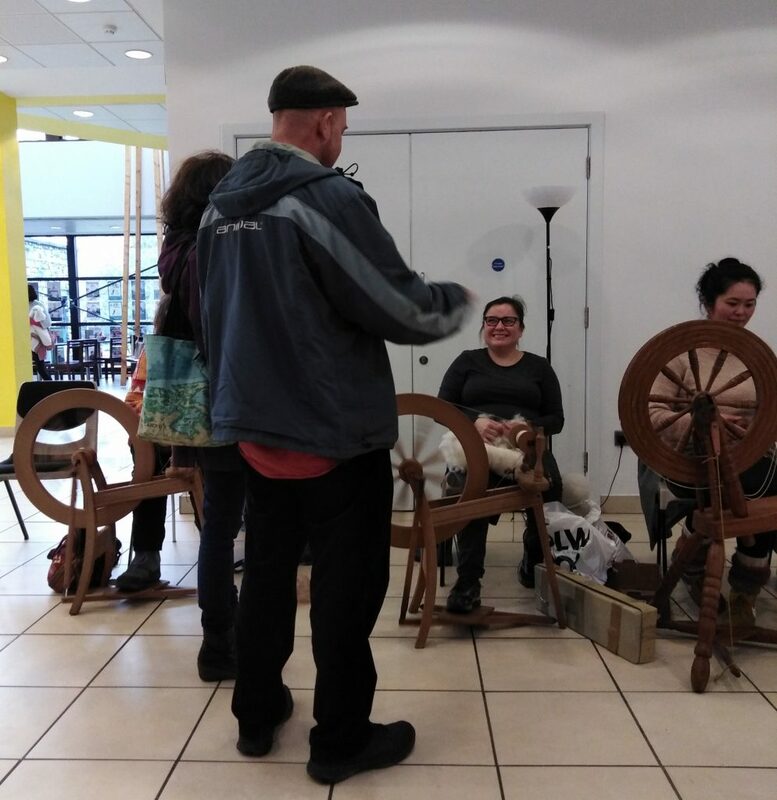 If you are curious or interested in spinning and fibres, please come by from 12-2pm each month. We’d love to see you there. The next spin day is 2 February. And who knows, you might even want to learn to spin.